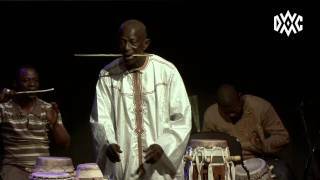 Doudou N'Diaye Rose e fils + Coetus + TactequetÃ© \"El mandil de Carolina\", \"Silvia Perez Cruz\"
Doudou N'Diaye or Ndiaye Rose was a master musician and arguably the best rhythmatist in the world. 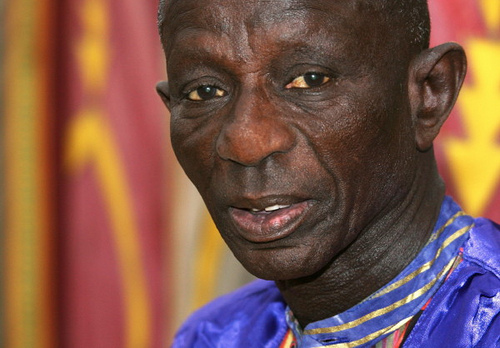 Doudou N'Diaye Rose was born in Dakar, Senegal in 1928 as Mamadou Ndiaye. 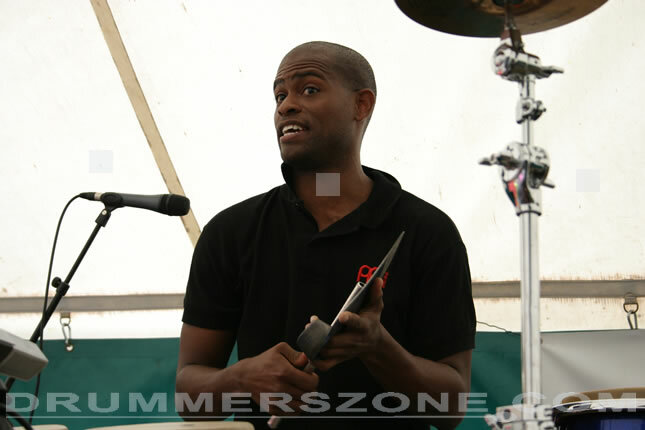 He took up sabar drumming at an early age. 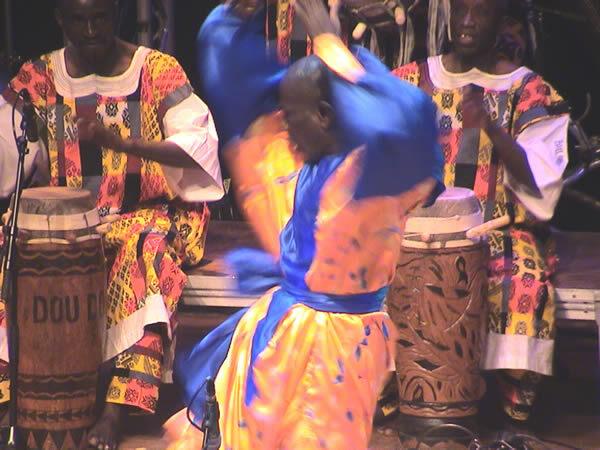 The sabar is by far the most common instrument in Senegal. 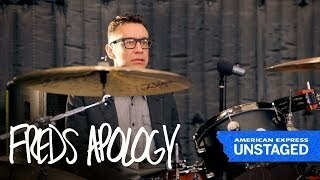 You can hear it at every family gathering, Catholic church meeting, political rally, Baay-Fall Islamic meeting, and marketplace. 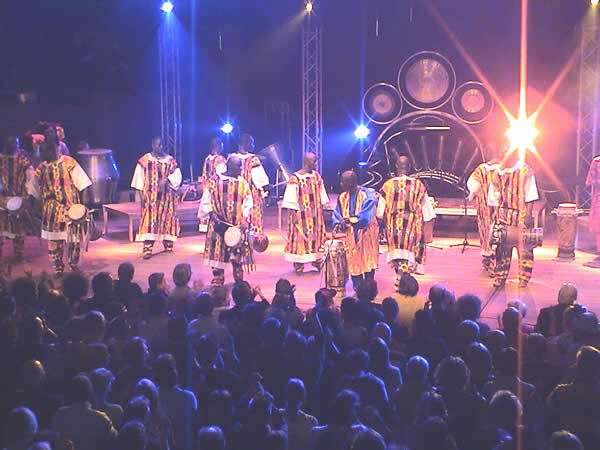 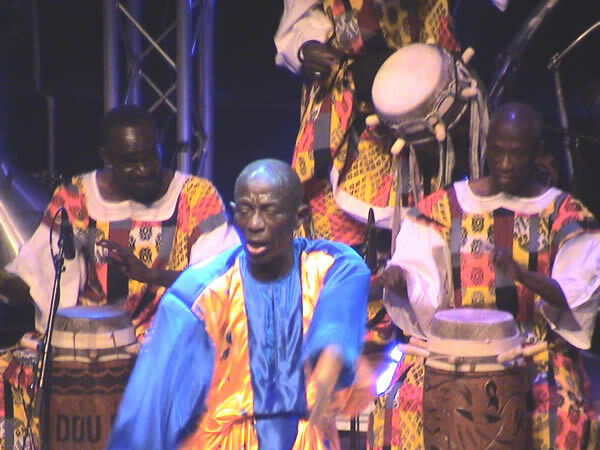 The sabar has become the backbone of almost every Senegalese music group. 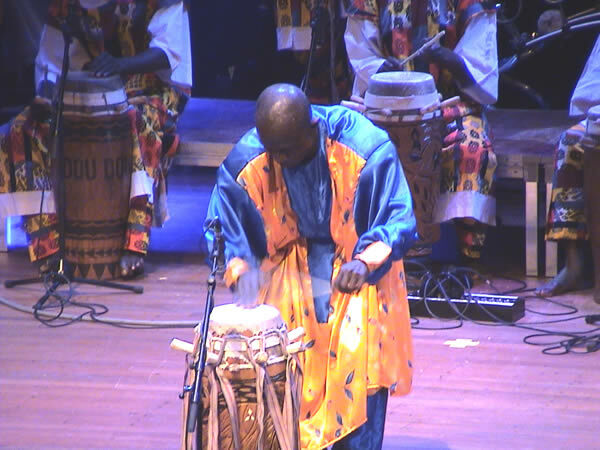 At age nine Doudou N'diaye Rose had an irresistible desire to play the drum. 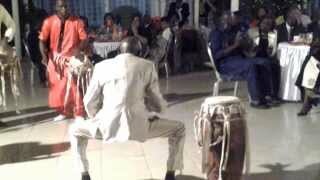 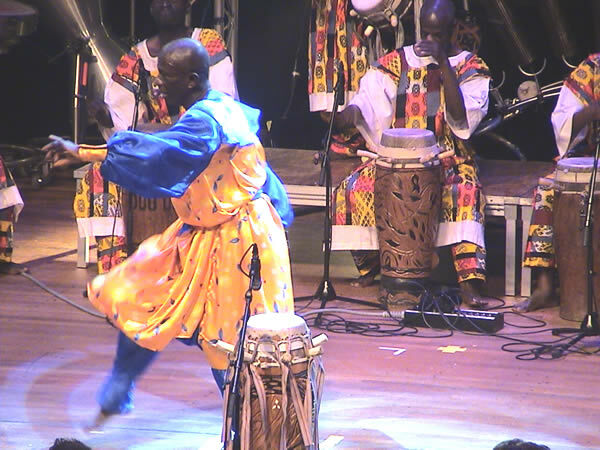 But since his father was an accountant, Doudou never got the chance to be initiated to drum beat in his early age. 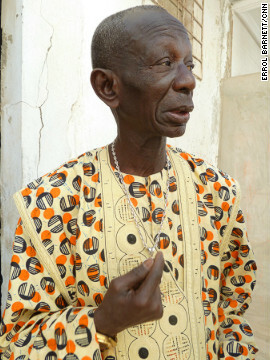 So he went in search for someone who would be able to teach him. 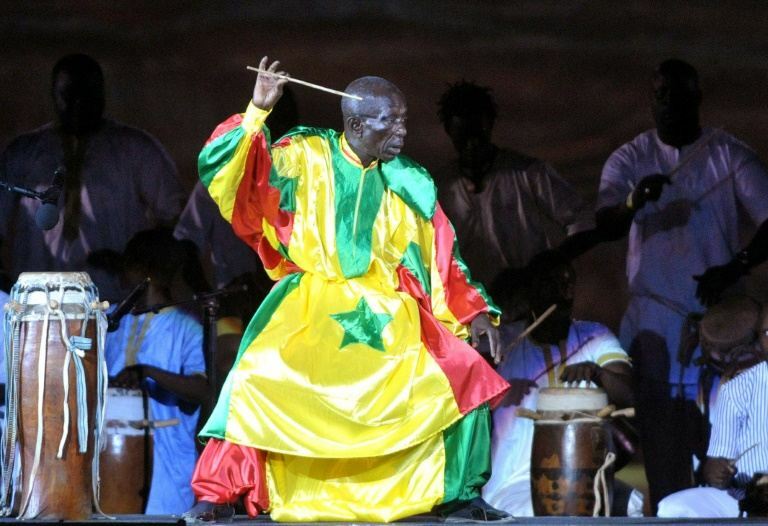 He was fortunate to meet El hadj Mada Seck who was at that time the best drum major in Dakar. 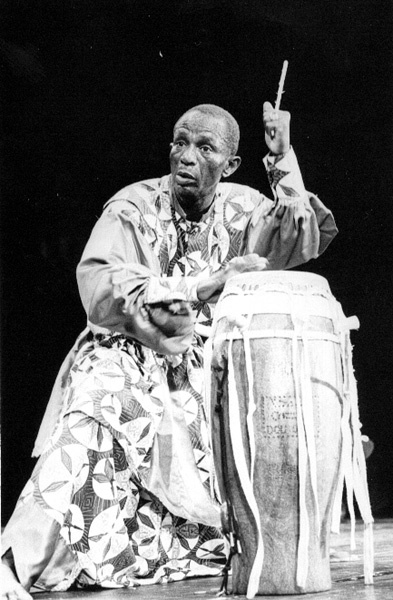 Throughout all his childhood he followed him and learned from him the art of drum rhythms and the different kinds of djembes (African drums). 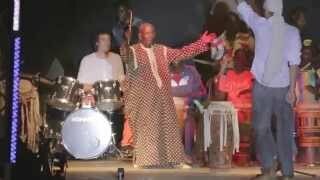 Life was quite hard for Doudou N'diaye. 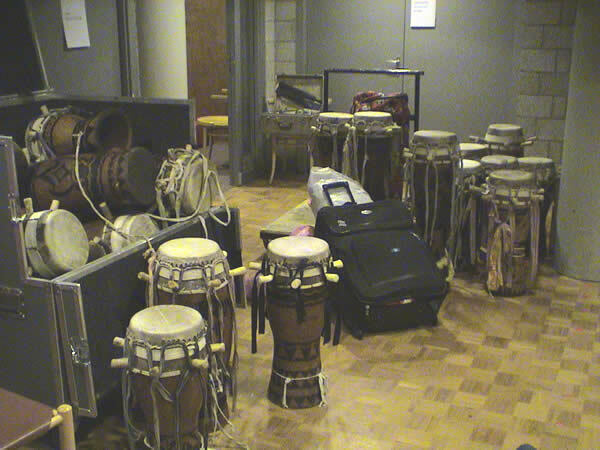 He was being raised by his uncle who didn't want him to play the art of drum rhythms. 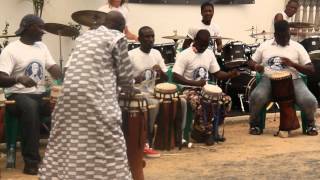 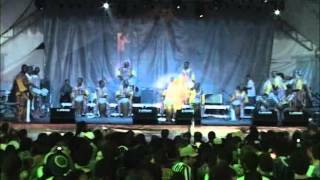 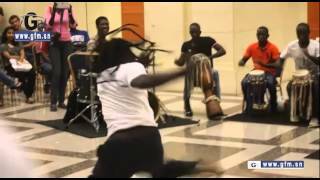 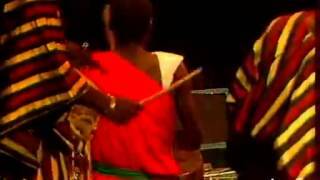 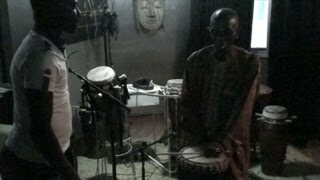 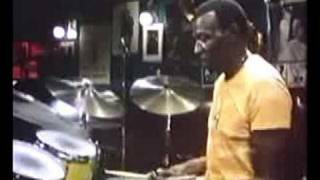 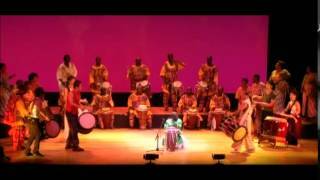 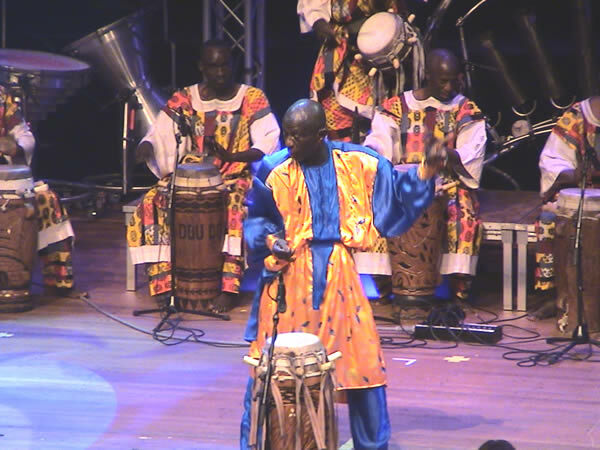 He later conceded that Doudou N�diaye Rose was destined to music and gave him the freedom to go around all regions of S�n�gal to learn drum beat rhythms from different ethnic groups. 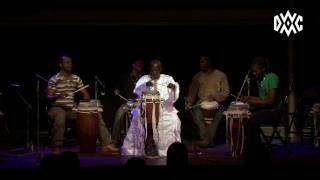 Some years later when his drum master El hadj Mada Seck moved to neighboring C�te d�Ivoire, he was quite ready to carry on the torch. 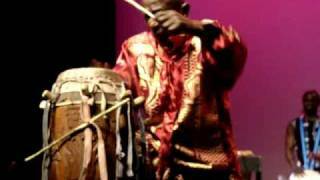 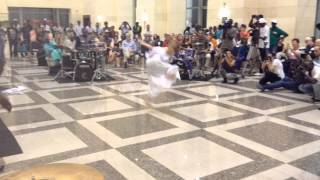 Nowadays Doudou N'diaye Rose�s fame goes beyond the boundaries of S�n�gal. 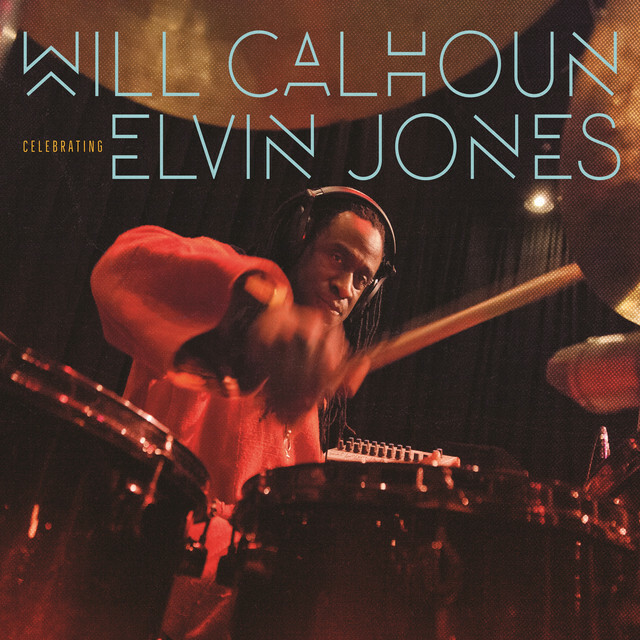 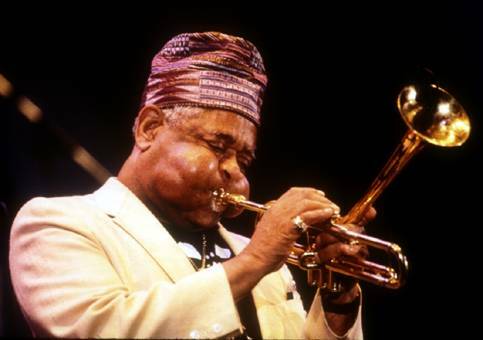 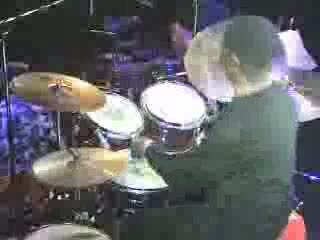 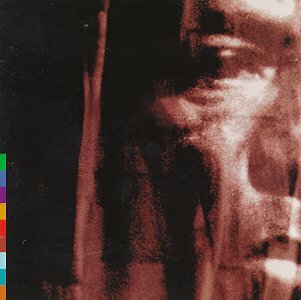 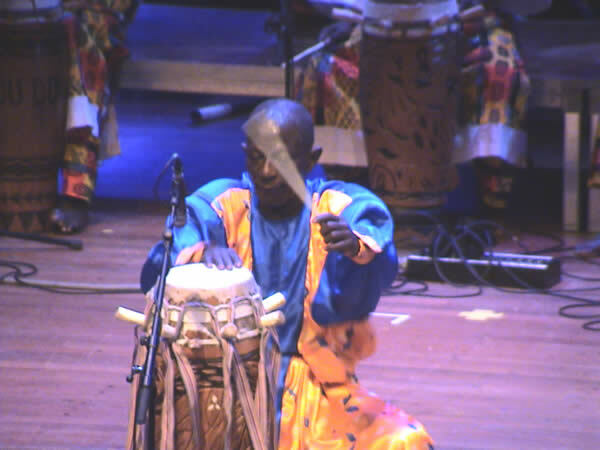 He�s been touring the world for over two decades and recently in 1996 his drum ensemble was the center of attention at the opening of the National Black Arts Festival in Atlanta, Georgia. 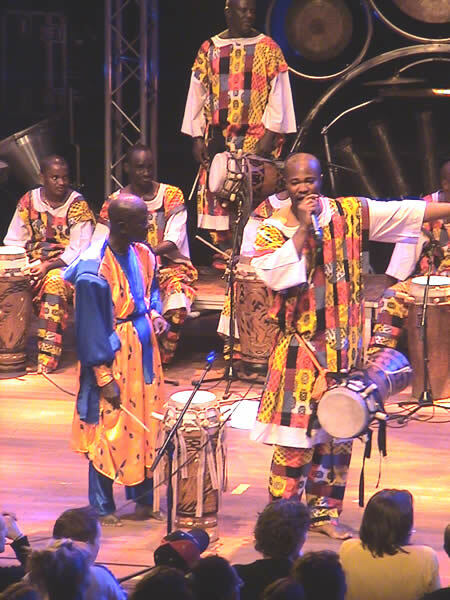 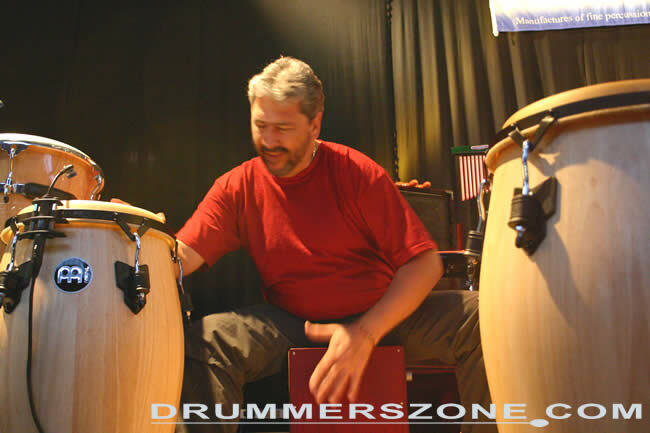 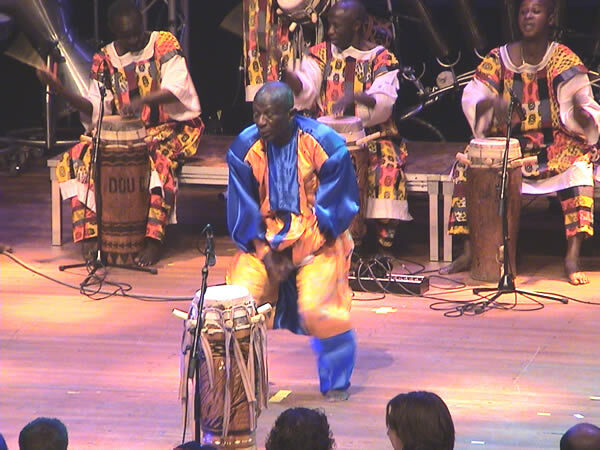 Doudou N�diaye Rose rose from the shadow of traditional drum major and soon, because of his creative and innovative sense of conducting drum rhythms, he became the rising darling of the S�n�galese drumming community. 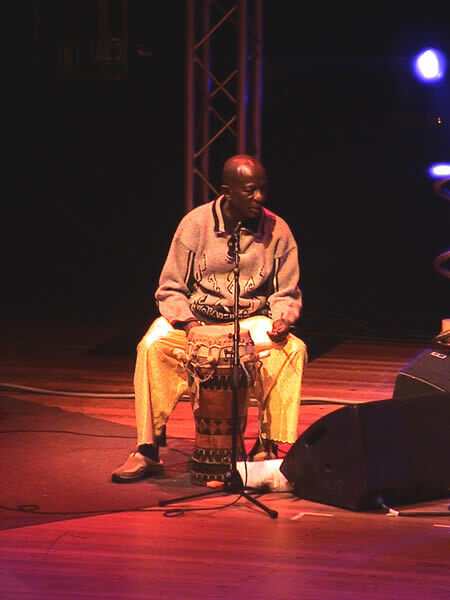 In the late seventies Doudou N�diaye Rose decided to explore new orientations in his music career. 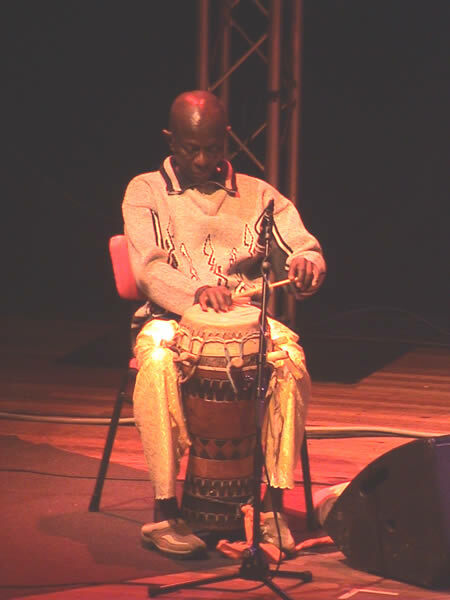 In 1980 he formed a new ensemble called the Rosettes, a female percussion troupe comprised of his own daughters. 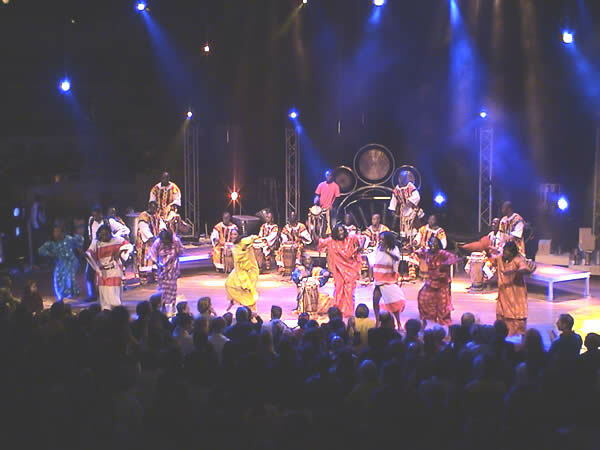 He also created the Roseaux, a troupe of children aging from 4 to 12. 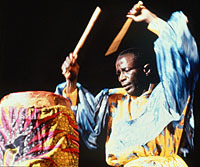 Talking about his ensemble Producer Andrew S. Grossman said: "Under the direction of the incomparable Doudou N�diaye Rose, the Drummers of West Africa are not only the most renowned drum ensemble of their native S�n�gal, or even West Africa, but probably the most revered percussion orchestra in the world. 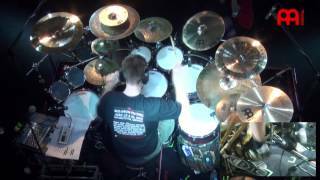 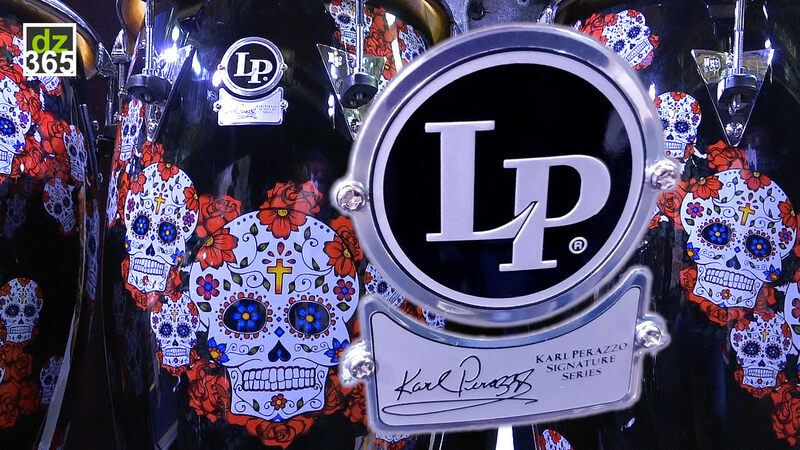 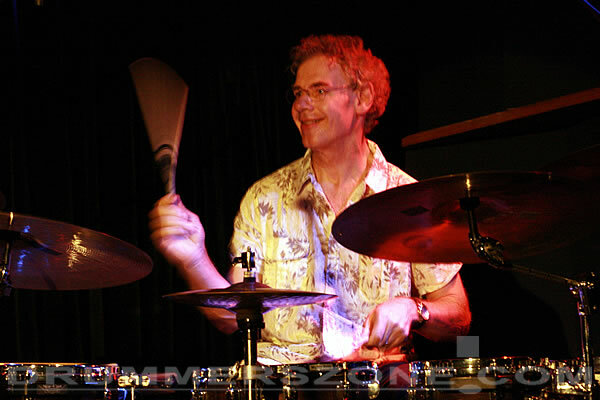 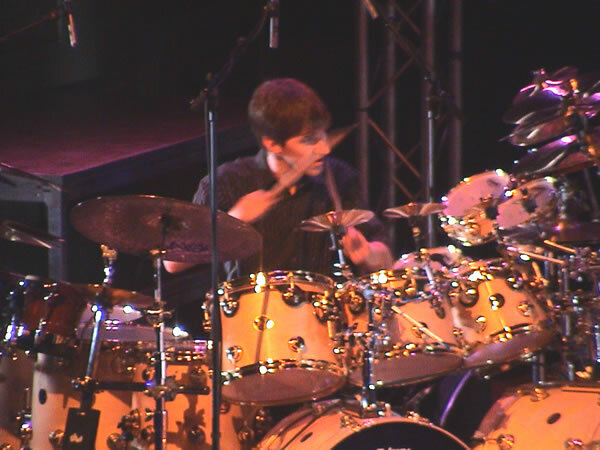 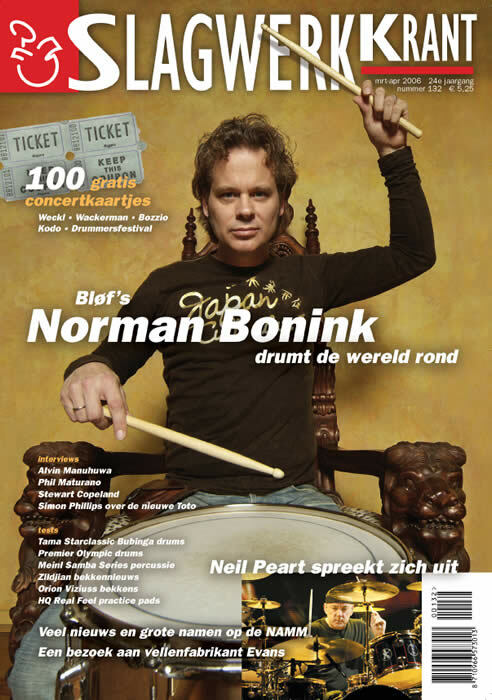 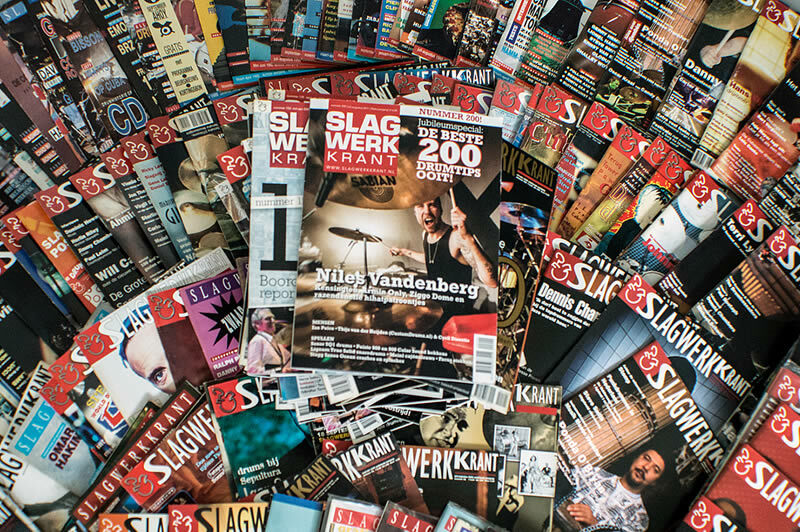 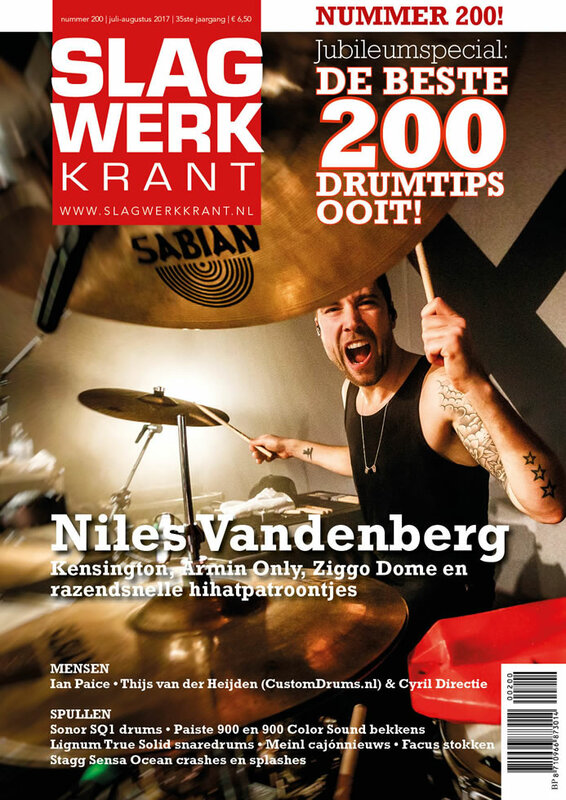 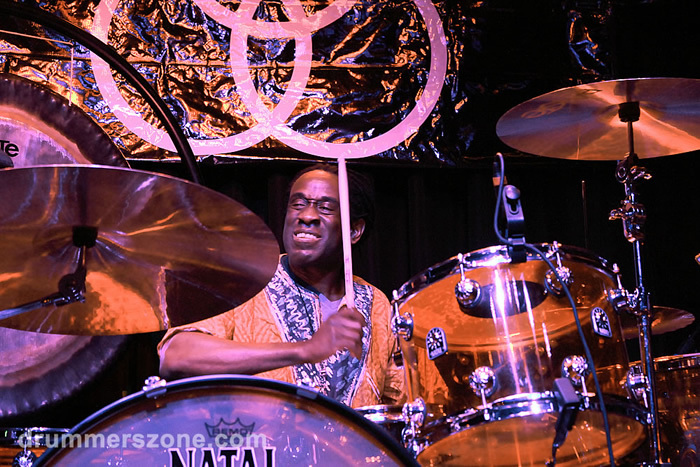 The Drummers, all members of Mr. Rose�s family, have toured the capitals of Europe and South America with huge box office successes and recently with the opening attraction of the 50th annual Cannes Film festival. 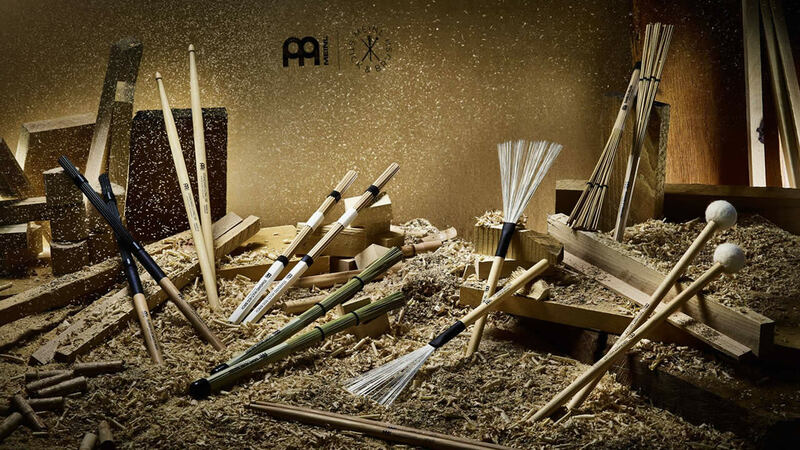 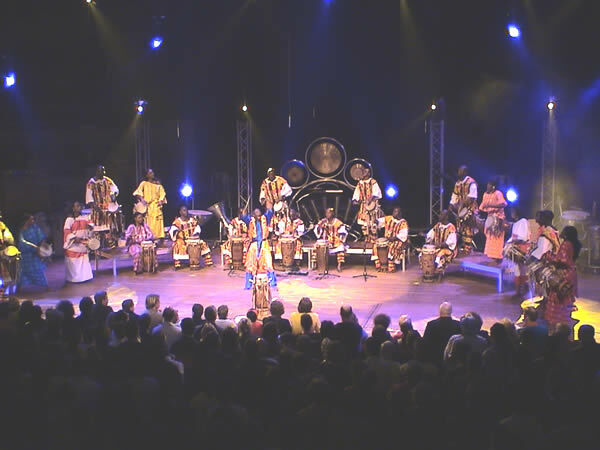 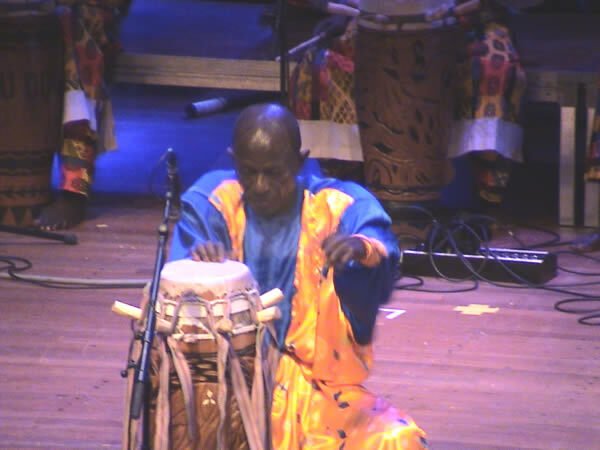 The Japanese drum company Kodo is a great admirer of the legendary Doudou N�diaye Rose, and invites him to appear regularly with the Kodo drummers in a series of performances as well as seminars in the art of percussive music." 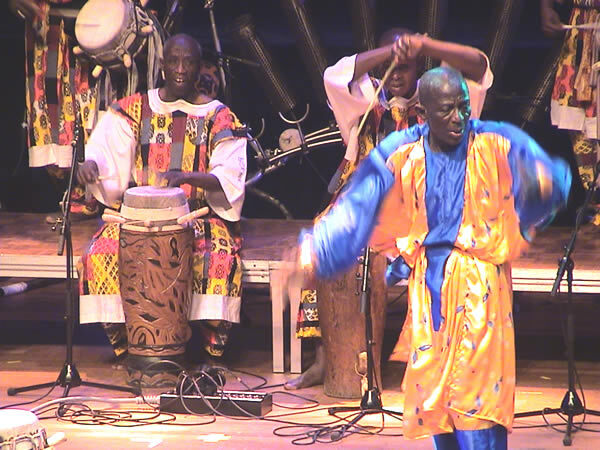 Doudou N'diaye Rose is unquestionably the most famous sabar master in the world. 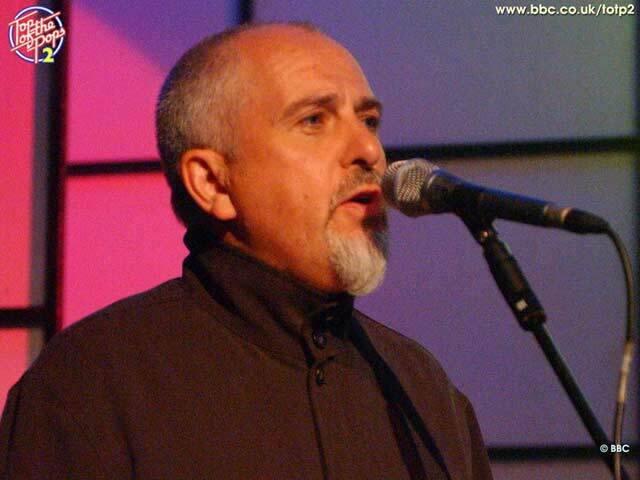 With his family he�s put together the theme song of the S�n�gal�s Television News. 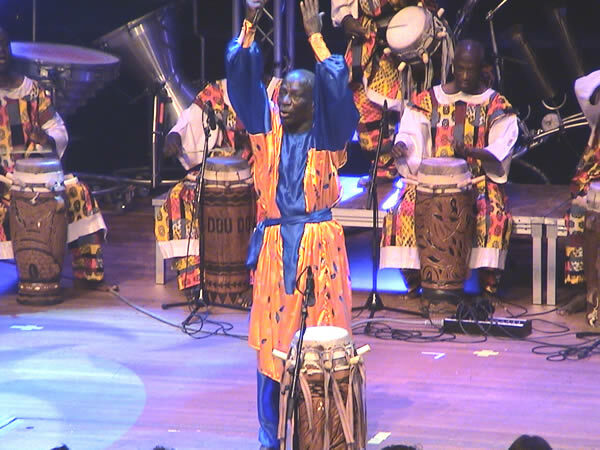 Guardian of the tradition, but also an untiring innovator, this virtuoso of percussion is now perceived as a true conductor, just as the great conductors of symphony orchestras (he conducts bands from 20 to 100 drummers). 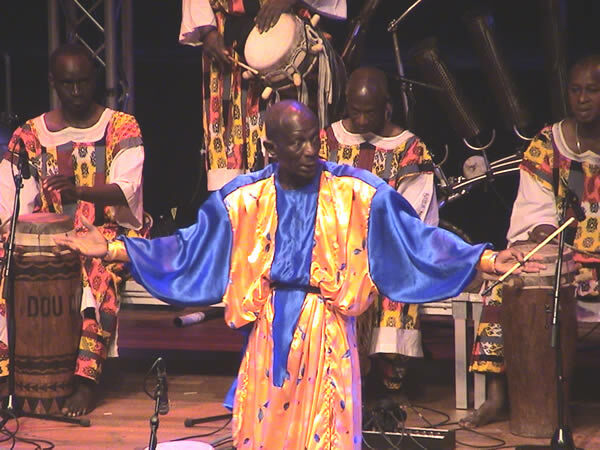 He has a passion for sounds and for harmonies, he loves to make his group reverberate like a tremendous rhythmical machine, which he controls with the hands of a master, using his baton to guide the musicians with an irresistible authority and natural charisma. 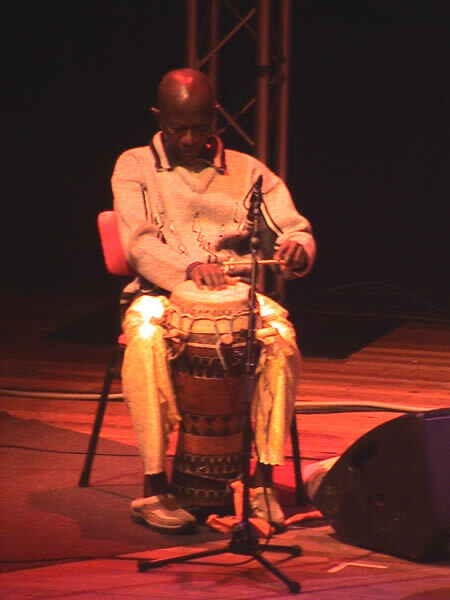 He weaves together an unbelievable number of rhythmical phrases, superimposing them in a complex and elusive pattern, which reaches our ears as a kind of fabulous melody. 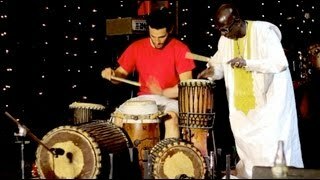 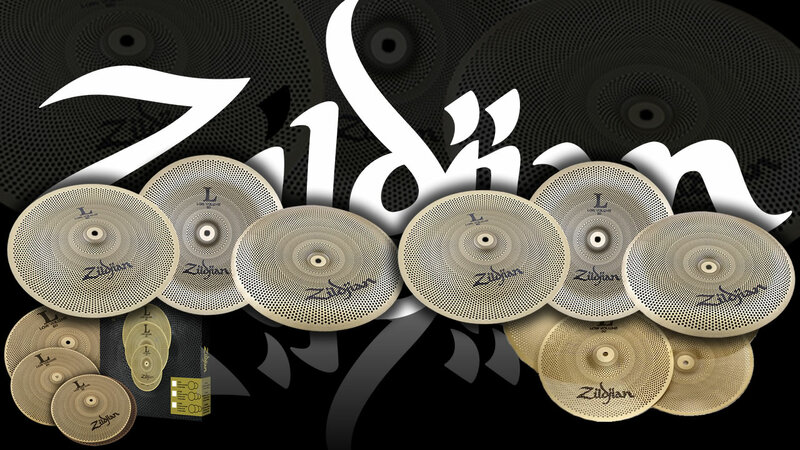 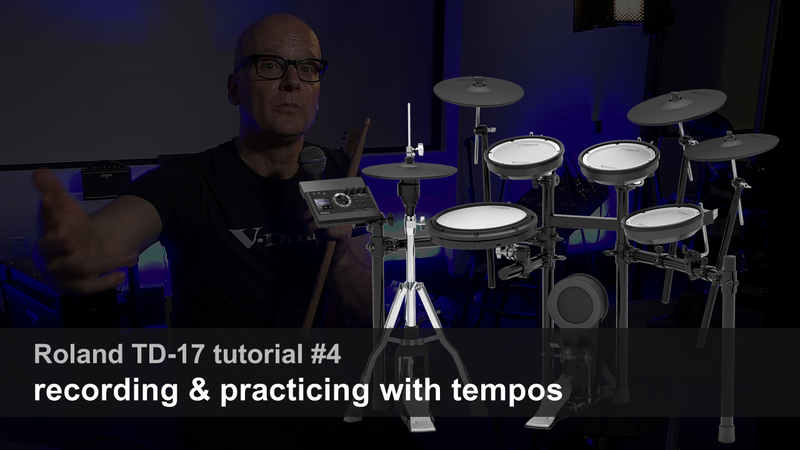 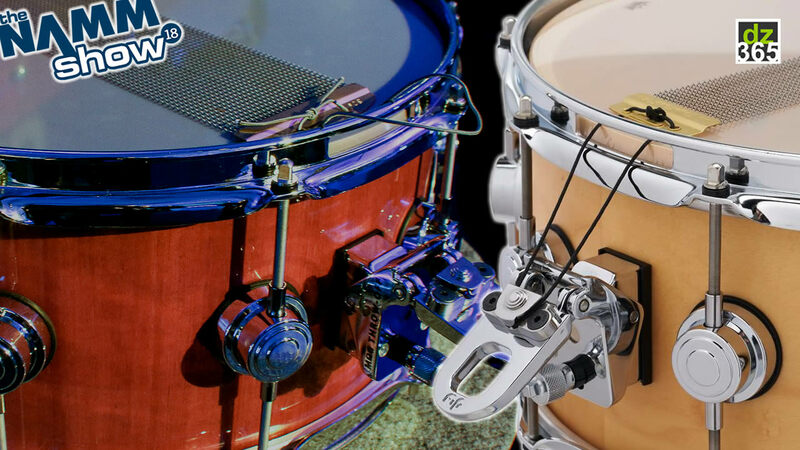 He creates real symphonies of drums. 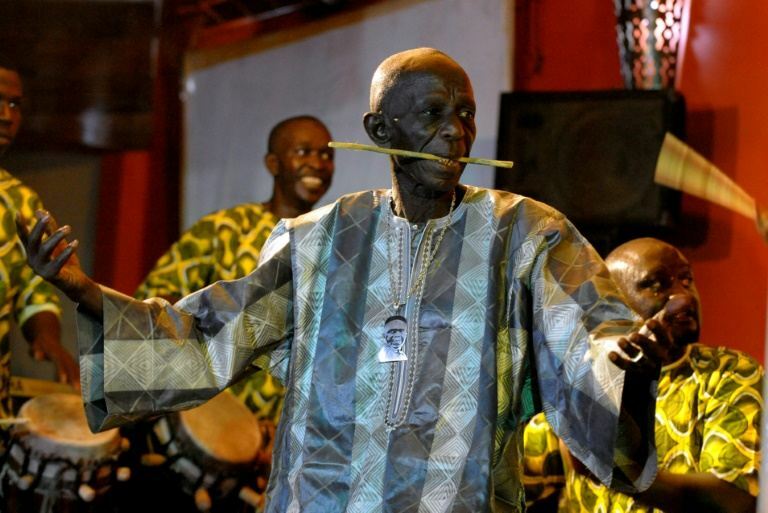 Doudou is the father of at least 38 children, including Ali N'Diaye Rose, Mamadou N'Diaye Rose and El Hadji N'Diaye Rose, all accomplished West African drummers and dancers. 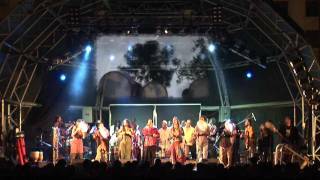 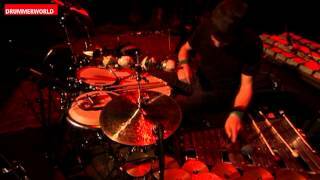 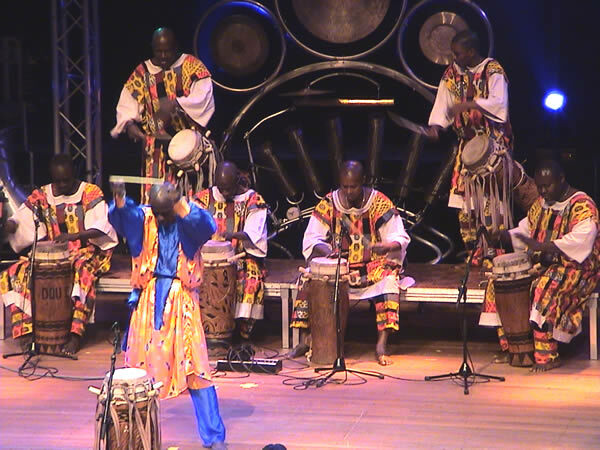 They have toured extensively throughout Europe, Africa, Japan, and the United States. 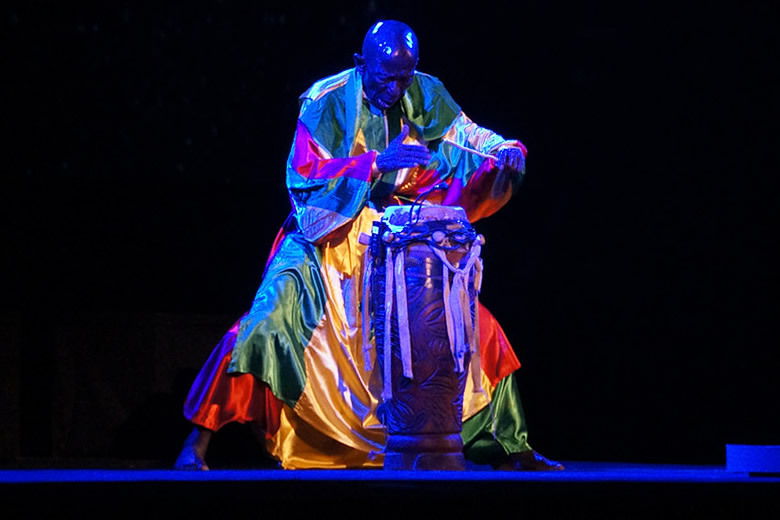 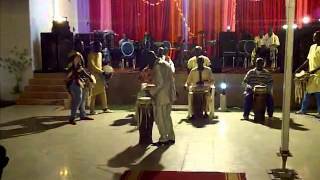 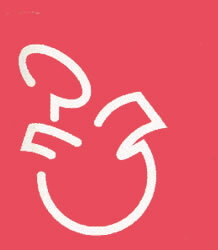 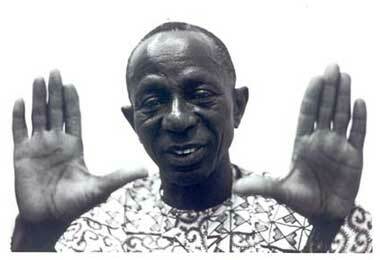 Doudou was a rhythm teacher at the Institut National des Arts in Dakar and Chef Tambour Major at the national Ballet. 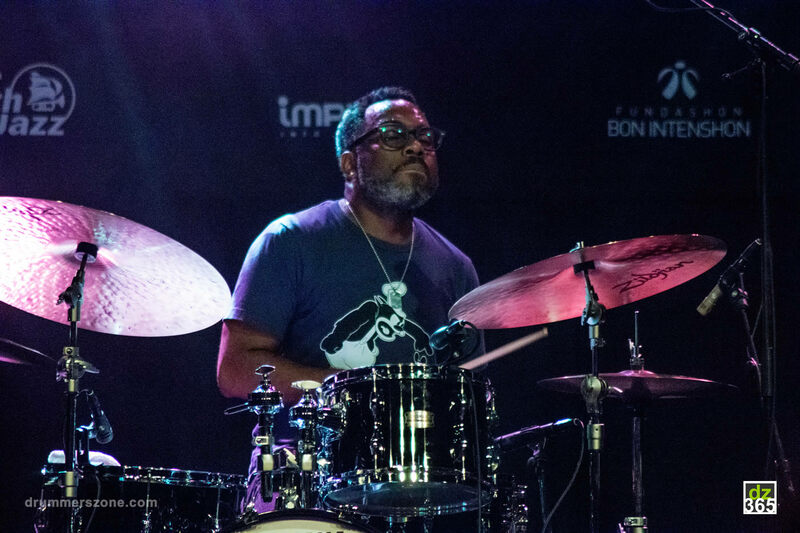 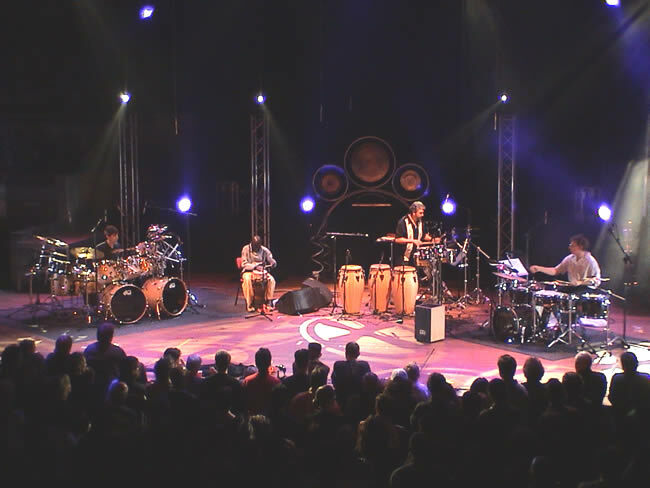 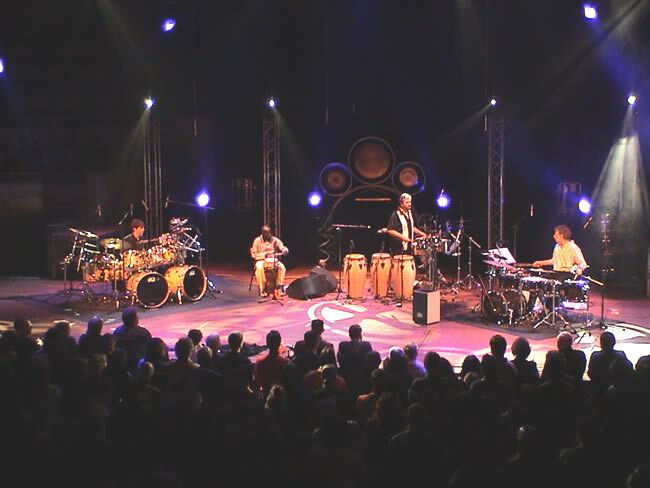 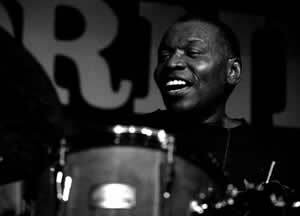 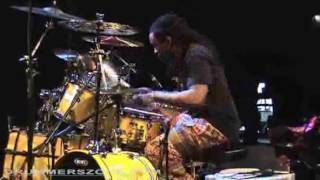 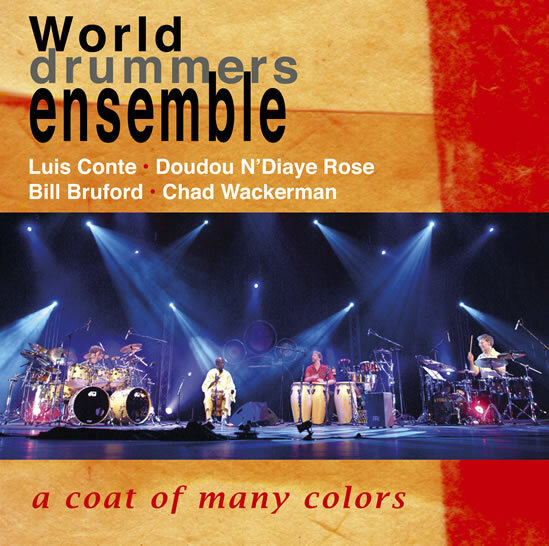 Doudou N'diaye Rose has toured with the World Drummers Ensemble comprising of Bill Bruford, Luis Conte, Chad Wackerman and himself. 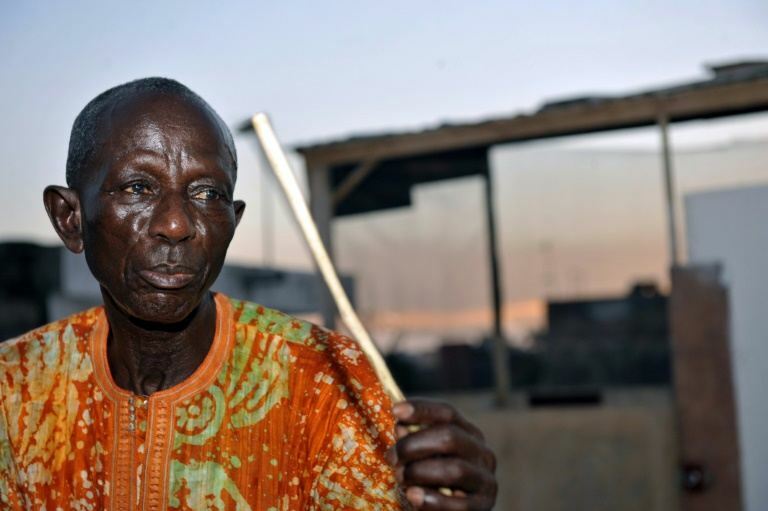 It is fortunate that he has passed his knowledge on to his children, including Ali N'Diaye Rose, Mamadou N'Diaye Rose and El Hadji N'Diaye Rose, especially since so much of the traditional musics of the world are being lost. 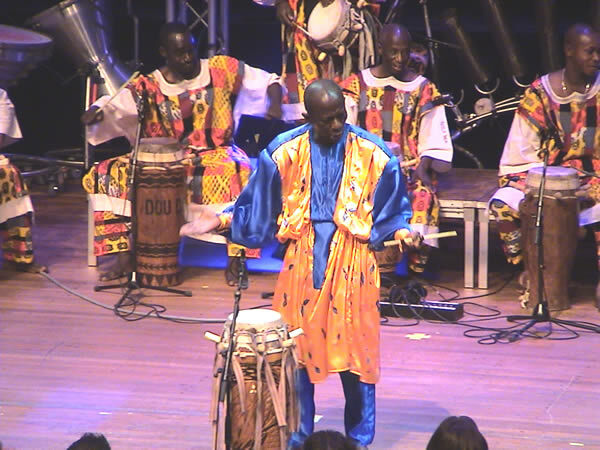 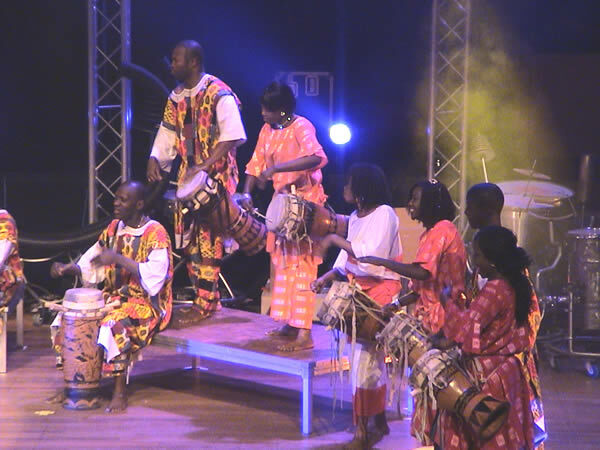 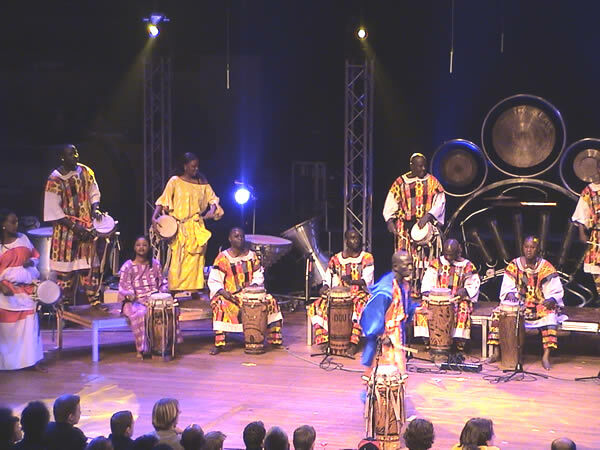 Ali N'Diaye Rose (one of Doudou's sons) is a guest lecturer at the Royal School of Music in The Hague, The Netherlands and since 1989 has worked and performed with the Percussion Group The Hague. 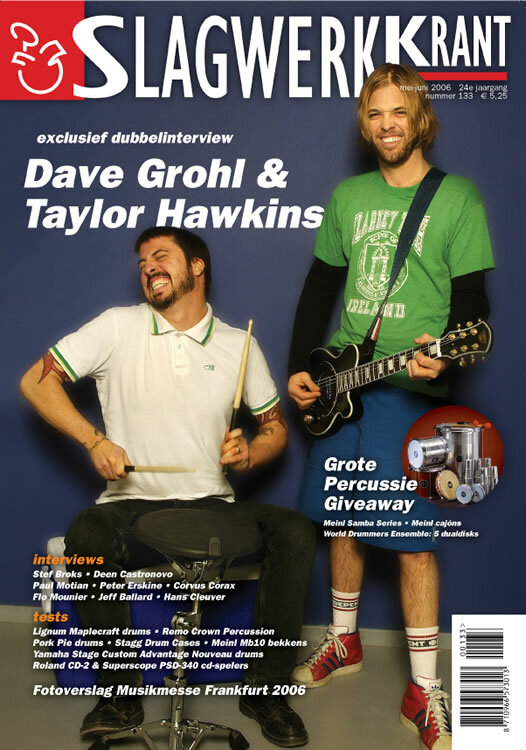 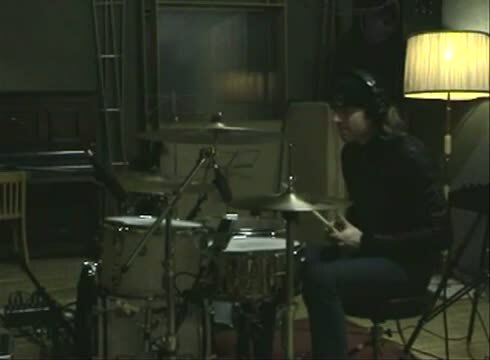 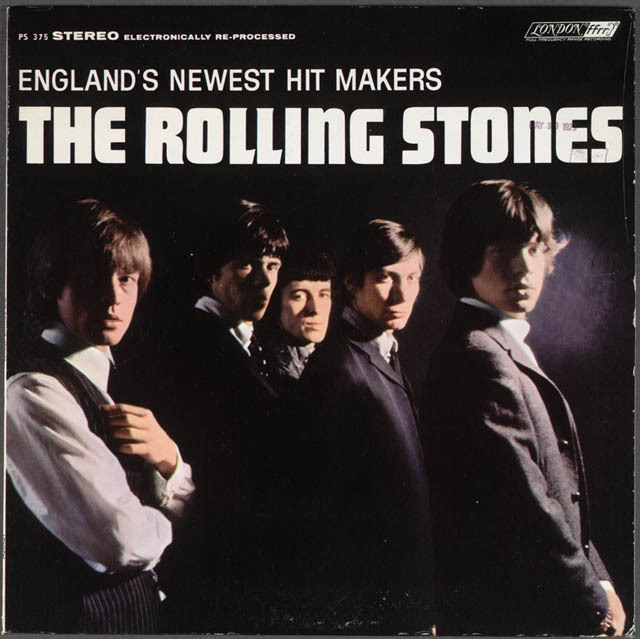 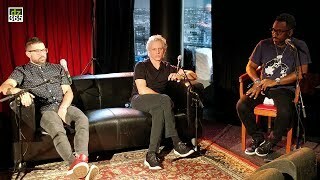 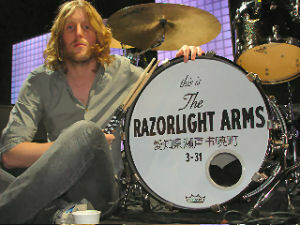 (They recorded together on the Dutch CD "Skin Hits").